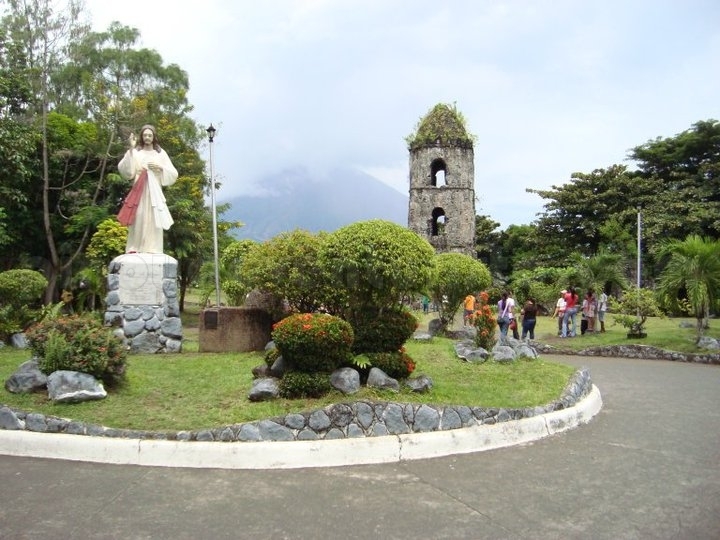 I took the 6:00 AM Cebu Pacific flight bound for Legazpi Albay and in 41 minutes after take off, I found myself in this beautiful City. 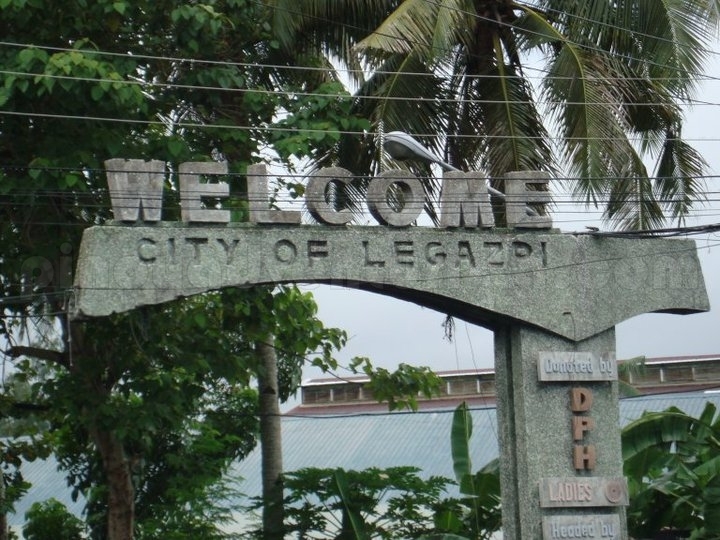 It's been a long time dream for me to visit Legazpi. At isa lang ang nasabi ko nung makita ko ang Mayon Volcano habang pa-landing na ang eroplano. "Nagkita rin tayo..."
Nagbreakfast muna ako sa Airport bago ko sinimulan ang aking "Solo Trip Adventure". With no itinerary prepared, I searched for the tourism office of Legazpi in the airport, but it was closed, no one was there to assist me. I took a tricyle and told the driver to bring me to the Capitol. 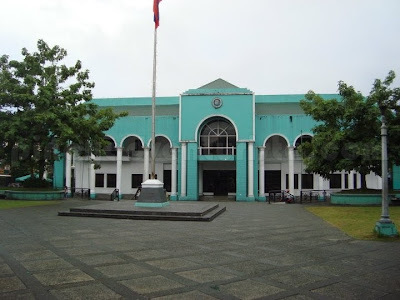 The tourism office in the Albay Astrodome is also closed - sabado daw kasi. Hahahaha! 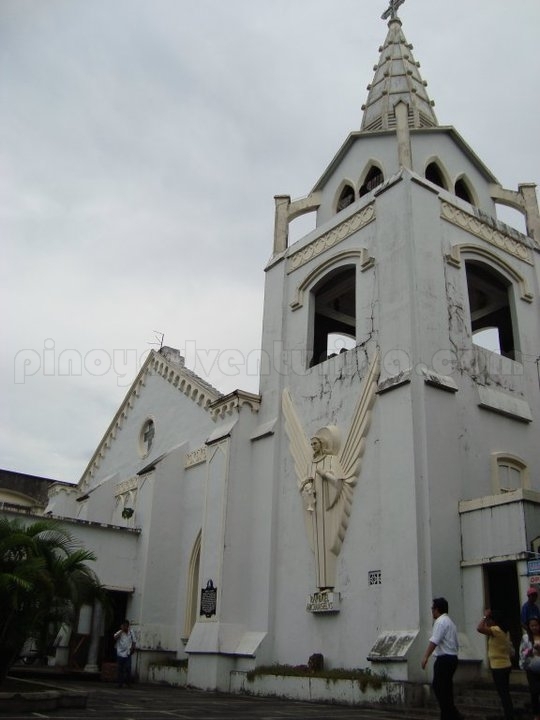 So, I just took some pictures in the Capitol Building, the City Hall and the Church located near the plaza. 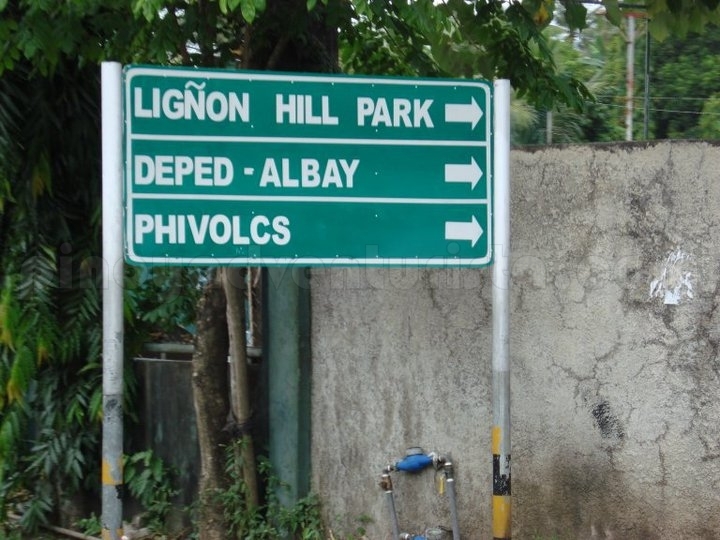 The people of Legazpi are very accommodating in helping me where to go. 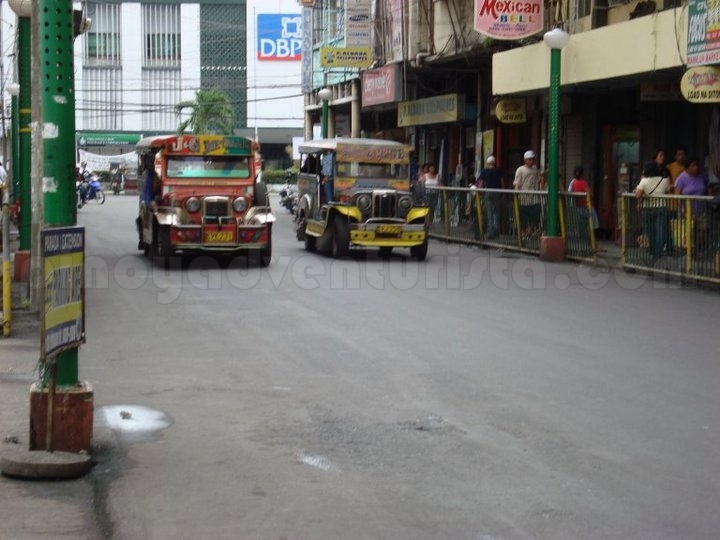 As advised, I took a jeepney bound for Polangui and asked the driver to drop me at Embarcadero. 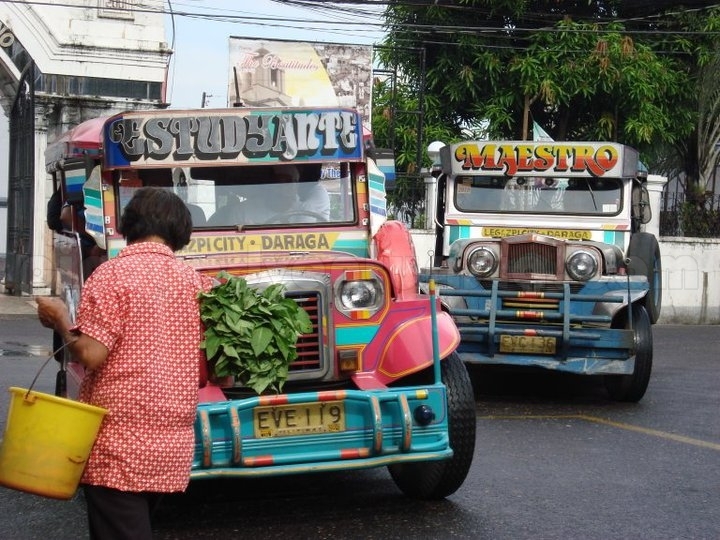 Fare is 7.00 pesos. It's like a mall; Greenbelt, MOA and Trinoma combined. 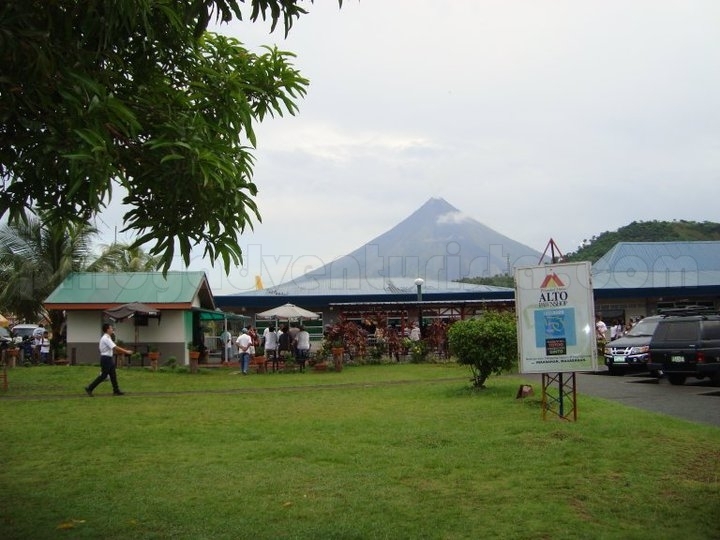 With shops and restaurants all over the place facing the harbor of Legazpi with views to the Mayon volcano. 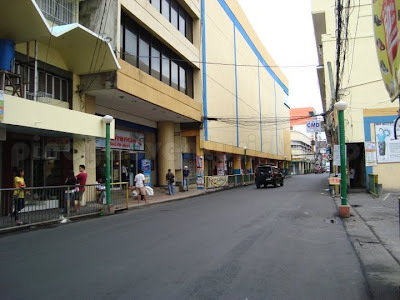 Di ko pa alam kung saan ako pupunta, naglakad-lakad muna ako. 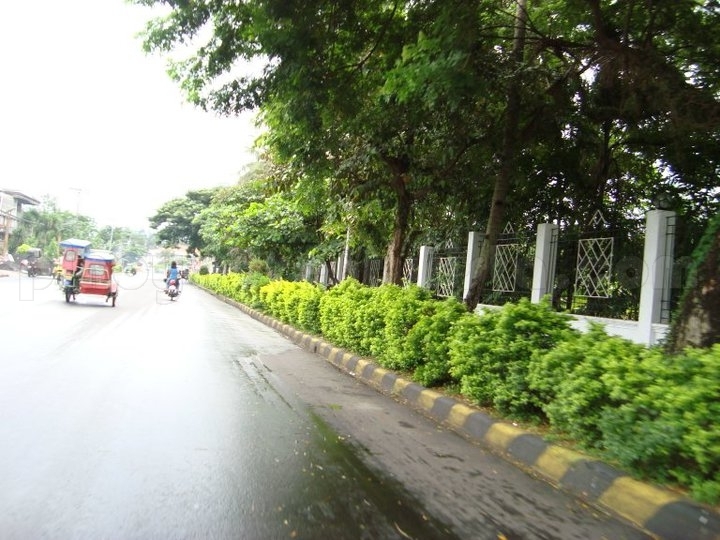 I was amazed because the City is generally clean. Walang masyadong kalat. Wahhhhh!!! Sana ganito din sa Manila. 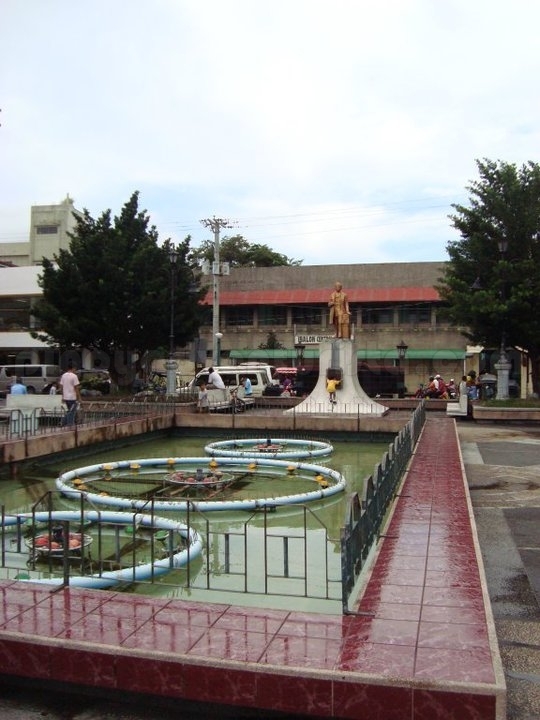 Right across the church is a plaza with a monument of our national hero, Dr. Jose Rizal. I took this oppurtunity to rest for a while and plan where to go next. Ligñon Hill is my next destination! 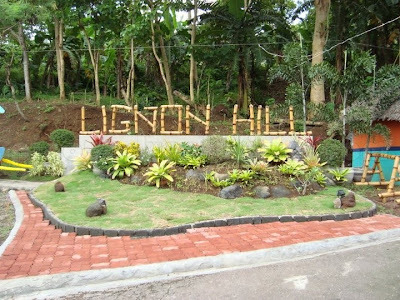 From the church, take a Legazpi-Daraga Loop 1 jeepney that will bring you directly to the foot of the hill. It is right after the Albay Parks and Wildlife. 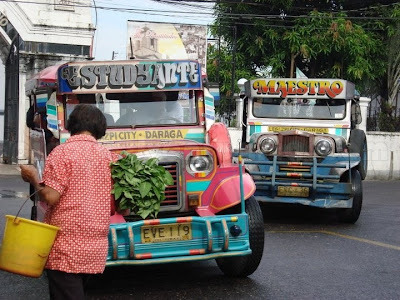 Fare is 8.00 pesos. 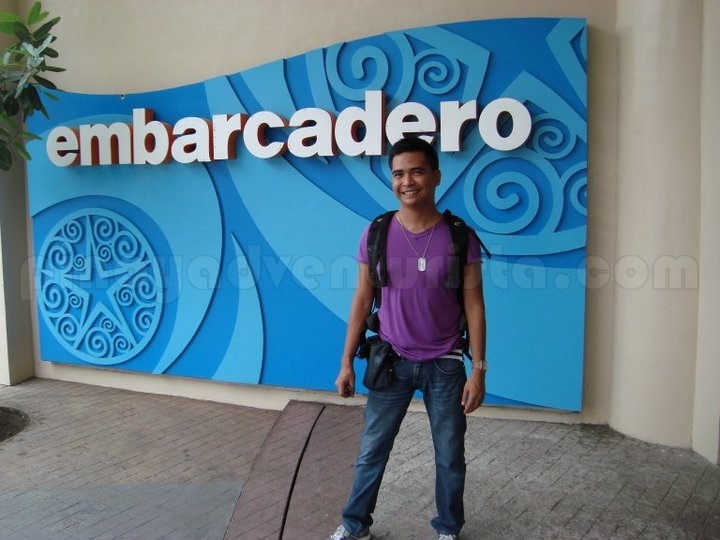 Entrance fee to the park is 20.00 pesos. 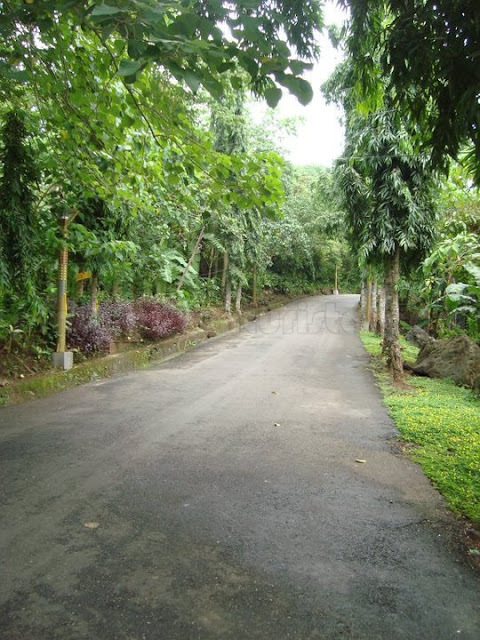 There are also motorcycles that will bring you to the top of the hill for 20.00 pesos. But I opted not to get their services, akala ko malapit lang. Hahaha!!! 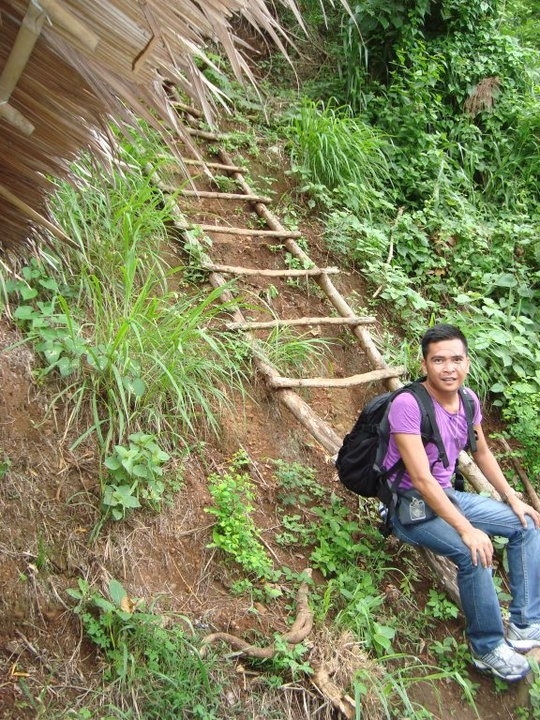 Ayun, I ended up trekking the hill at pawis na pawis na ako pagdating ko sa taas. Hehehe!!! 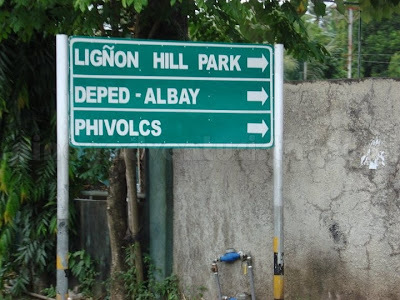 Mayabang ako eh, Mountaineer ako, kaya ko 'to! Hahaha!!! 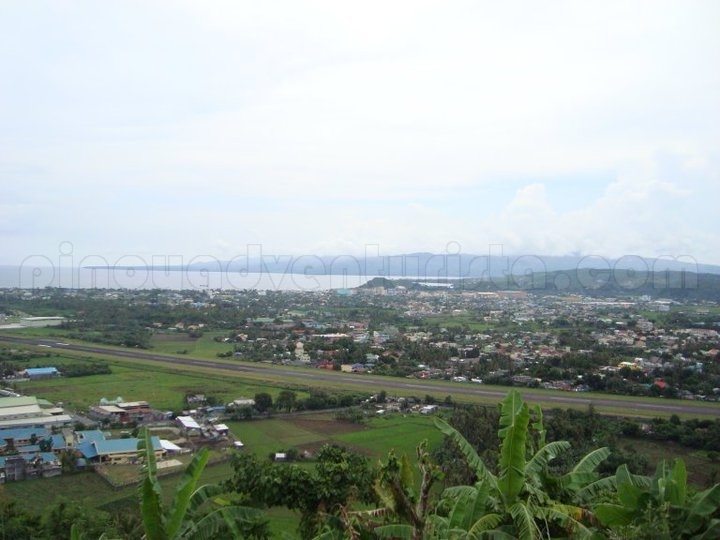 Pero okay lang, na-enjoy ko naman ang view and I was able to take pictures of the WWII Japanese-built tunnel, Kapit tuko trail and the Legazpi City airport on my way up. There are a lot of activities that can be done here. You can ride an All-terrain vehicle to the Mayon Lava watch area, do rapelling, play paintball and airsoft and zip line with the Mayon volcano as the back drop. 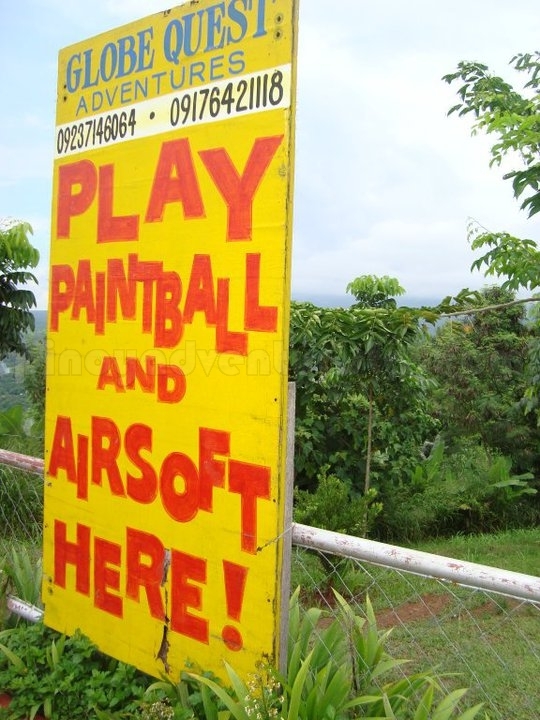 I wanted to do the zip line, kaso wala akong mapag-iwanan ng bag ko. So ayun, pinanuod ko nalang yung iba na nag-zip line. Hay... Sayang! 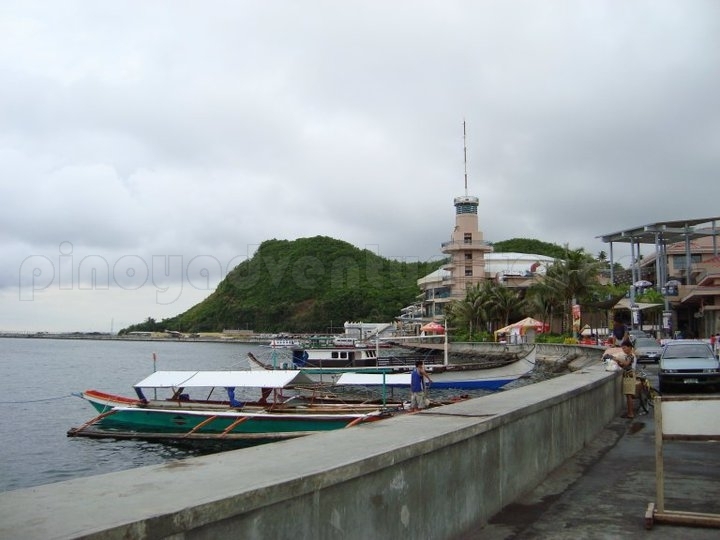 There are motorcycles that also offer a tour to the different tourist spots around the city and nearby towns. I was offered by one of them and told the driver that I want to go to Daraga Church and Cagsaua Ruins. We had a deal for 200 pesos. 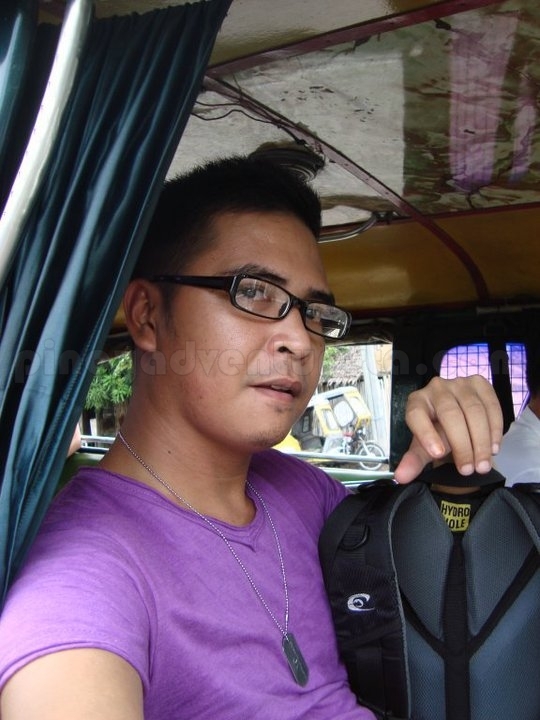 I hopped into his motorcycle and we're now heading towards Daraga Albay. Cool!!! Now I have a driver, a tour-guide and a photographer. Hahaha!!! Thanks Kuya! Lolz! 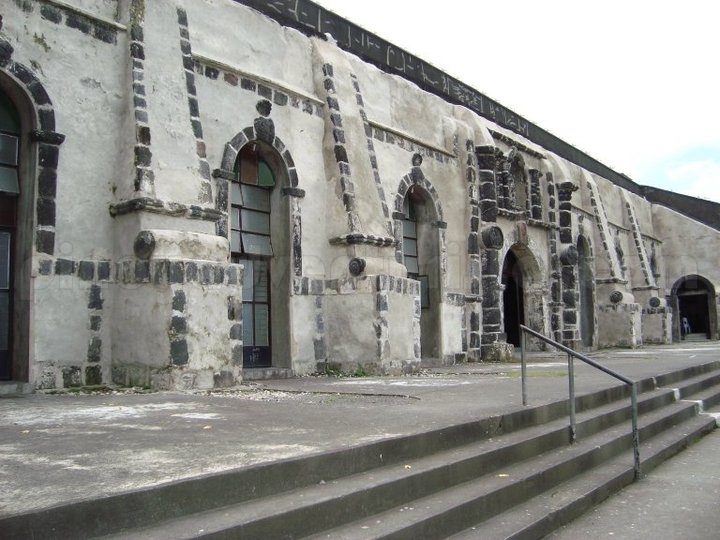 Unfortunately, I didn't get a nice picture of the church's facade as it is being re-constructed during that time. 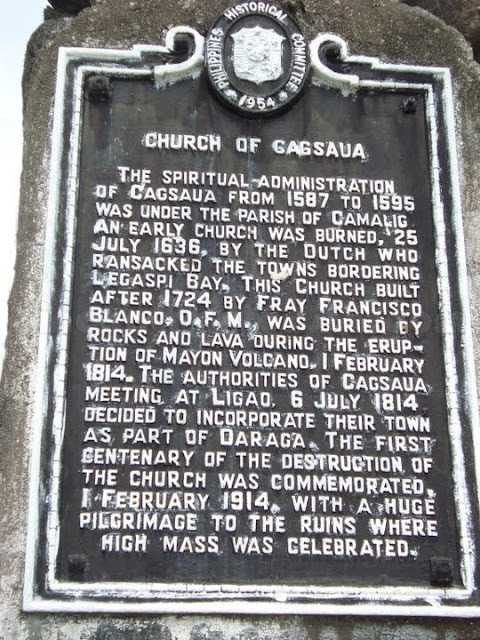 Few minutes from the church is the Cagsaua Ruins. 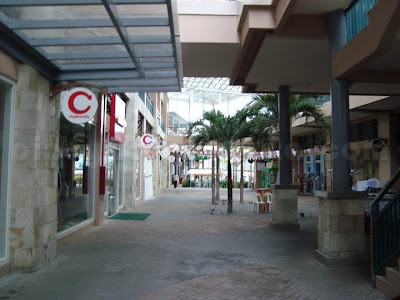 Entrance fee is 10.00 pesos. 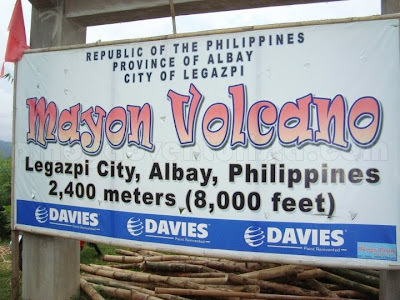 This is how I always picture out Mayon volcano in my mind. 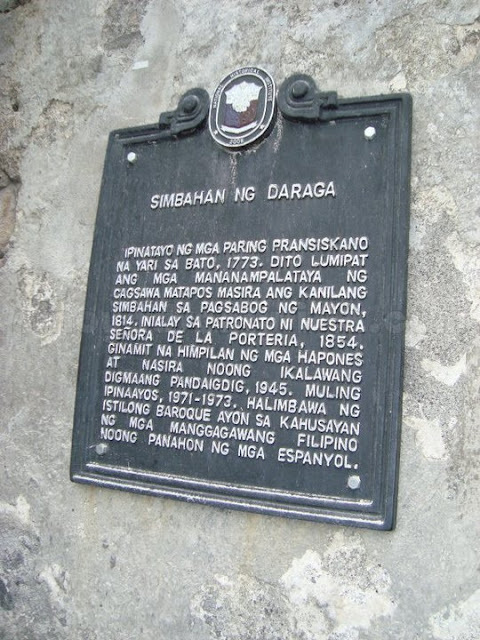 Eto yung nakikita mo lagi sa mga posters at post cards. 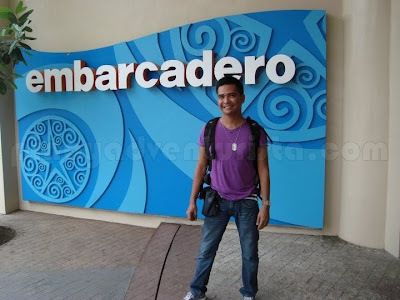 And eversince nung bata pa ako, gustong gusto ko na makapunta dito and have a souvenir picture taken. Wahahaha!!! Natupad din ang pangarap ko. Hahahaha!!! 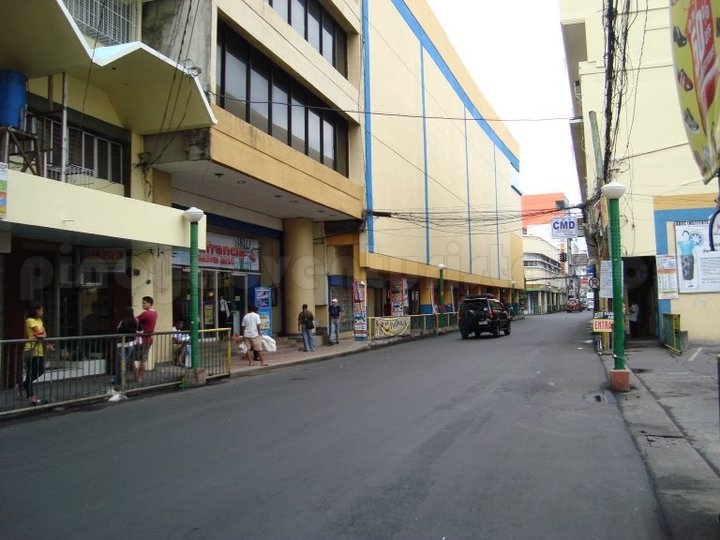 Next stop is Save More Terminal back in Legazpi City. This is where I took a van going to Naga City. 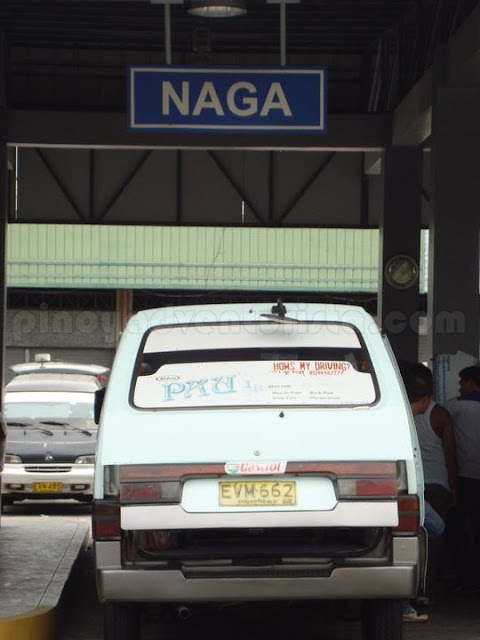 Fare is 150 pesos and it took me nearly 2 hours before I reached Naga City. 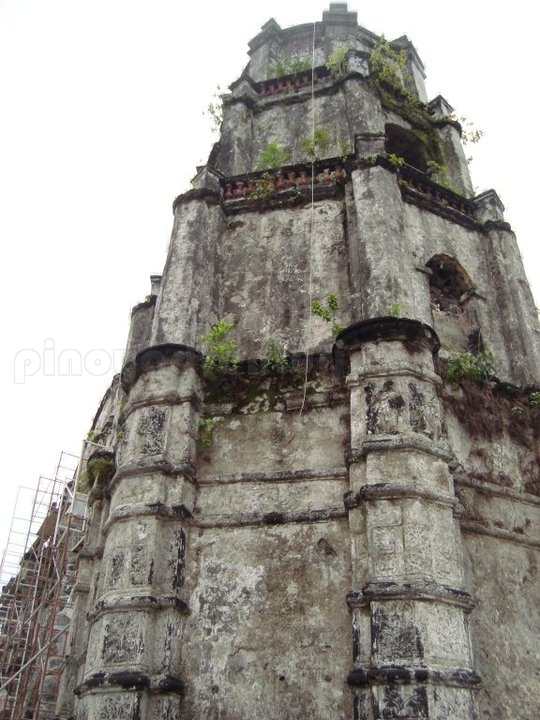 I'll do another post on my trip to Camsur later. 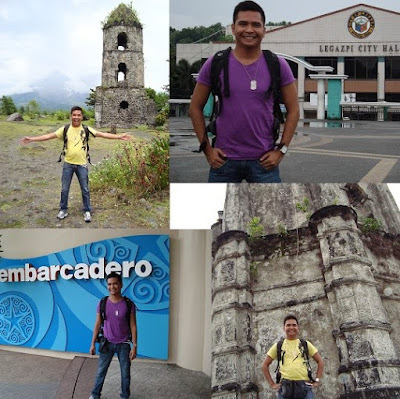 Posted on October 02, 2010 Categories: Albay , Capitol Buildings , Churches , Legazpi City , Trip ko 'to.. waahhh!!!! xcited na rin ako sa bakasyon. 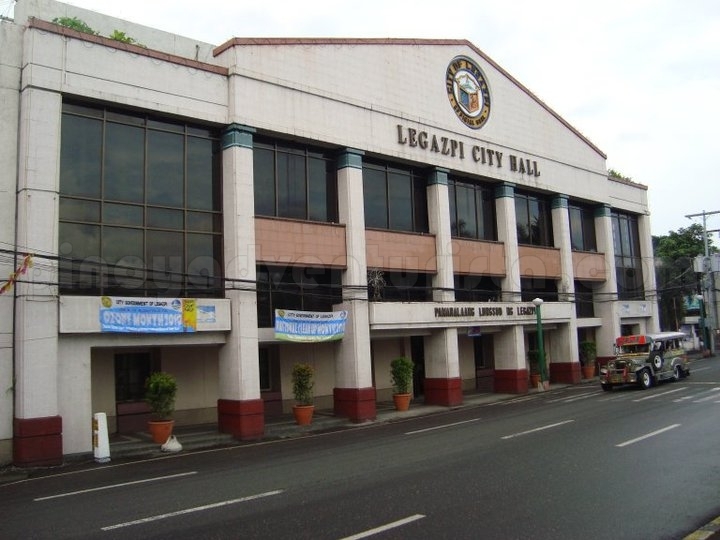 meron naka set ang family tour sa April diyan sa Legaspi City. 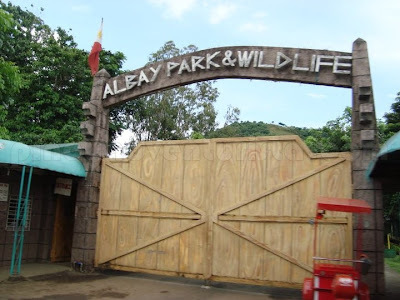 Bakit wala ka pictures sa loob ng wild life? marami kc kaming kids. 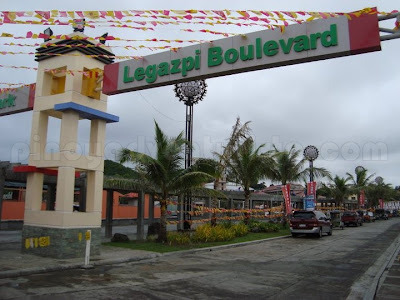 where did u stay for this legazpi trip? how much was your budget? 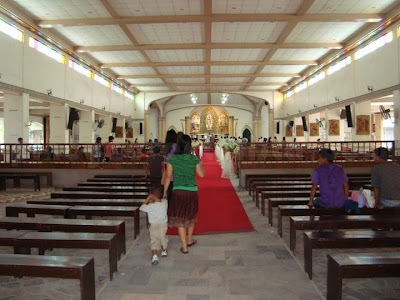 mga magkano poh nagastos niyo sa trip na toh?? Thanks for the tips. 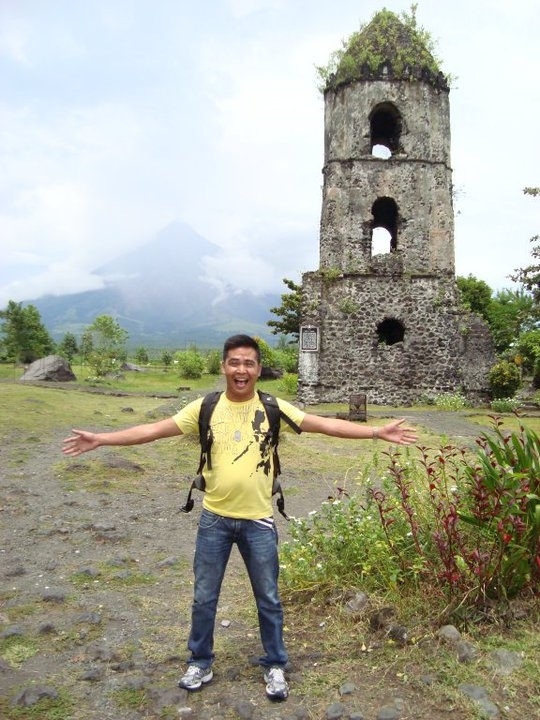 I will be having a solo trip too to Albay this coming November. Thank you very much. You really helped me in fixing my itineraries. 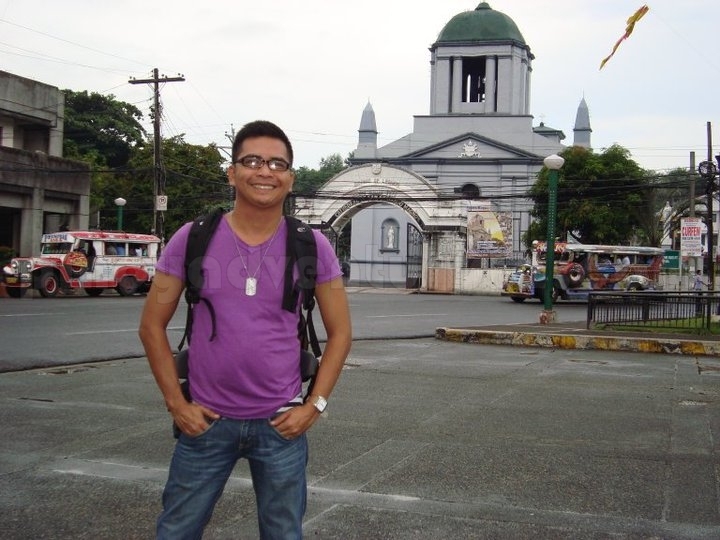 This is my first solo trip and my first time to visit sa Albay. thanks for visiting legazpi city. Its nice to hear your good feedbacks about the city. very nice! thanks sa Blog... informative! Sir, plano ko po sa pumunta s legaspi. 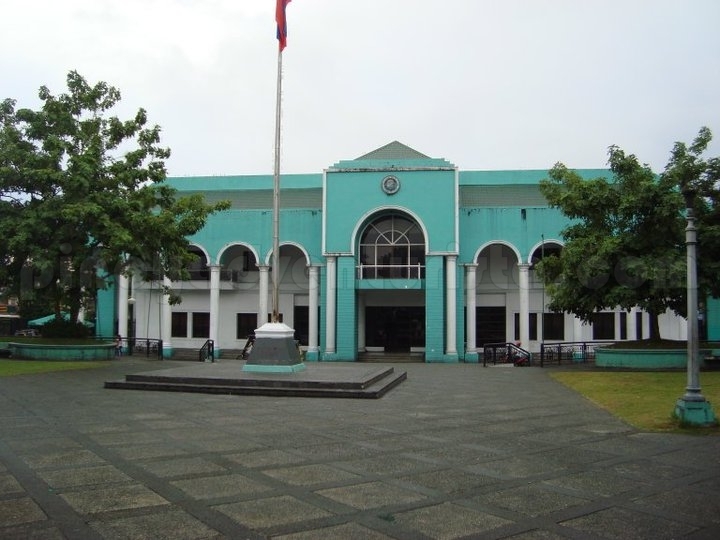 kaya nlang ang balak k0ng sakyan PNR, e up to naga lang sila. 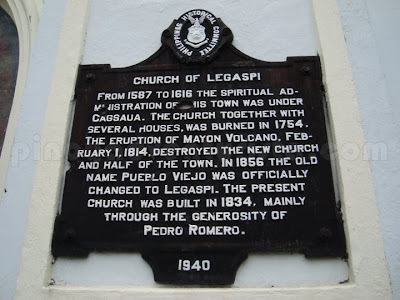 alam nyo po ba pano pumunta from naga to legaspi? and kaya ko ba maglibot ng isang araw lang? thanks! I visit my father in Legazpi City 4x a year but surprisingly I haven't been to the Cagsawa Ruins and Daraga Church. Do you have any idea for a travel agency that offers whole day tour in Legazpi? Thanks and nice travel experience! how come you didn't go to misibis bay? I am from ALBAY! 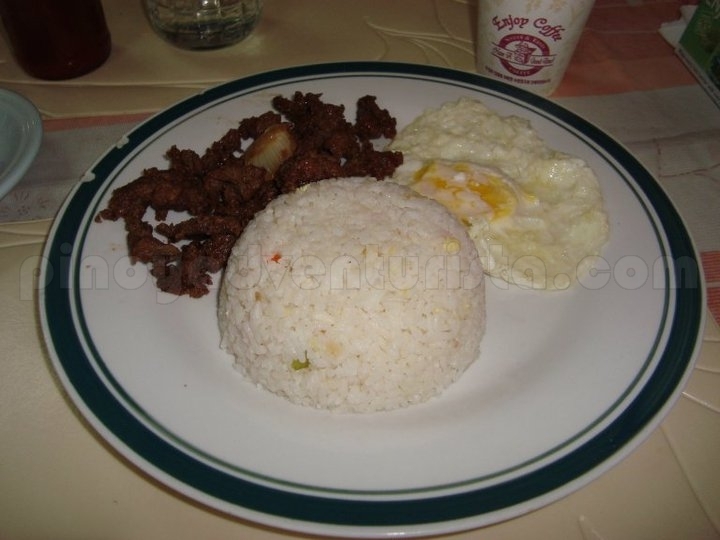 Dapat nag punta ka ng kawa-kawa! 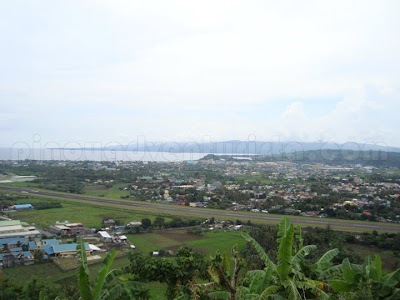 Would you know by any chance how to commute to Mayon Skyline from Legazpi? pede na kayang akyatin ang peak ng mayon..na try mo rin sana ang Mayon Planetarium sa Tabaco City..located sa mayon volcano.. 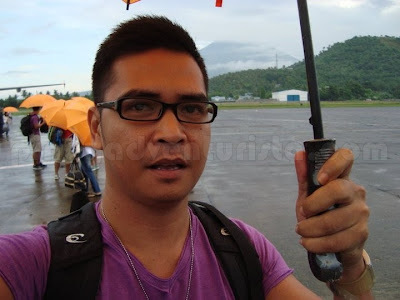 I might travel to Albay on Saturday, solo rin. 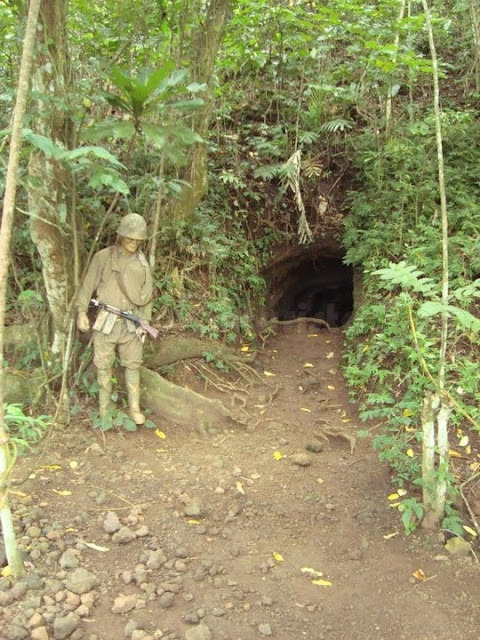 It's safe naman? i am planning to ge there alone, this Sept. will follow your itinerary. thanks for sharing! hi, ur blog was really helpful. I plan to visit albay this may & I will definitely use this as a guide as I have no itinerary too.May I ask sang hotel/inn ka nagstay? 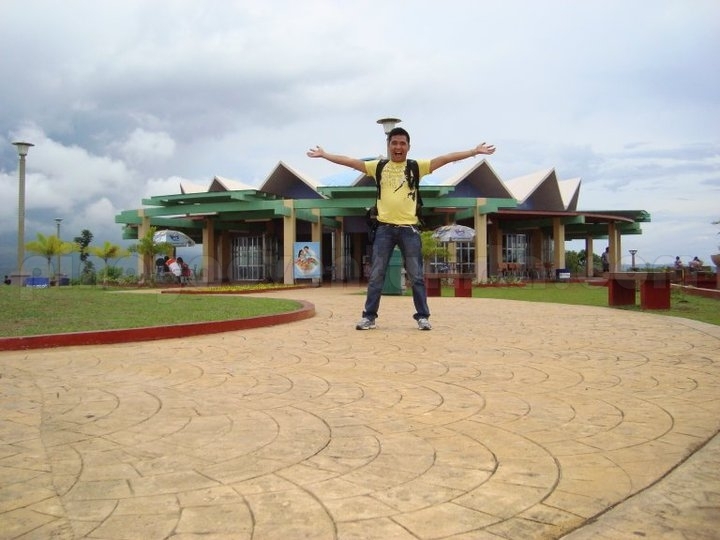 this is my 1st time traveling solo & im concerned na wala ako makuhang place na mura. Very informative po.. thanks for sharing ur adventures nakaka inspired magbyahe pag may ganitong guide.